Clinical management of medulloblastoma, the most common malignant childhood central nervous system tumor, is particularly challenging in young children due to the vulnerability of the developing central nervous system. Most recent studies have aimed to utilize chemotherapy in order to avoid, delay or reduce radiotherapy. Identification of prognostic markers for young children with medulloblastoma which may help to stratify patients is of enormous interest. The nodular desmoplastic histological variants of medulloblastoma, with medulloblastoma with extensive nodularity at the end of the spectrum, has been shown in several studies to be a strong independent positive prognostic marker in young children, and is therefore a candidate to improve risk-adapted treatment stratification – in addition to clinical risk factors such as presence or absence of metastases and postoperative residual disease status. Consequently, stratification according to histologic variants has been implemented in current multicenter studies of cooperative groups in Europe and North America. 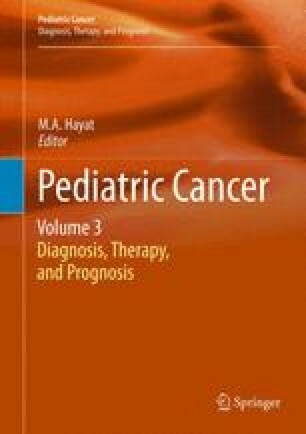 In contrast, management of young children with classic, anaplastic or large-cell medulloblastoma remains challenging, as sustained tumor control after intensified treatment strategies including high-dose chemotherapy and local conformal or craniospinal radiotherapy has only be achieved in a minority of children so far. The histological variants reflect at least in part the insights into medulloblastoma biology, with at least four distinct entities being recently identified by different gene expression profiling. Future treatment recommendations may be based on robust histopathological and biological prognostic parameters to decrease or intensify the risk of tumor relapse and treatment-related late effects.